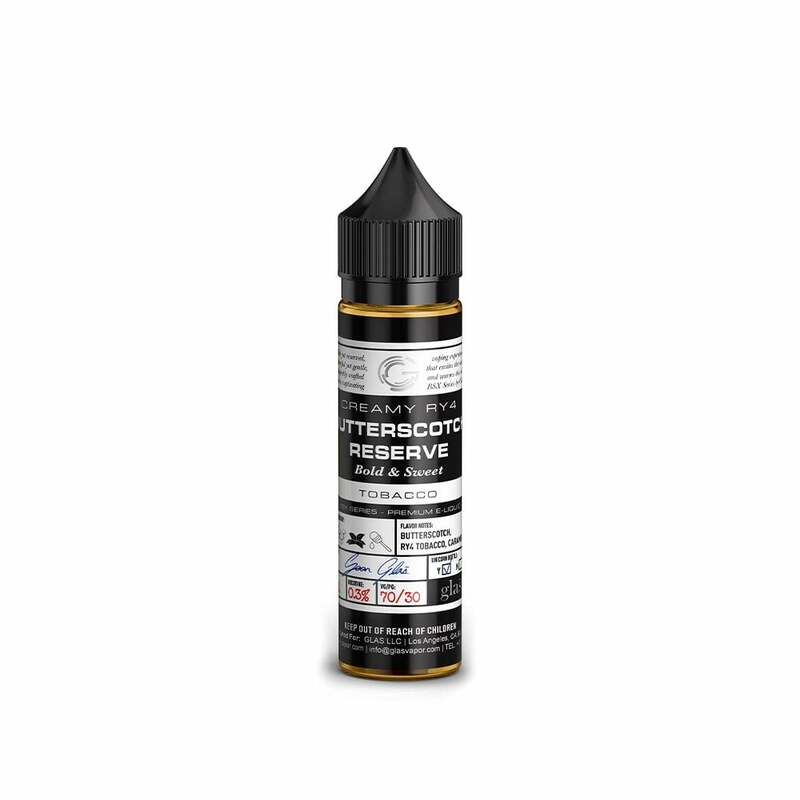 Butterscotch Reserve by Glas Vapor is the perfect vape juice for all you sweet tobacco lovers out there. Silky butterscotch and caramel blend together perfectly with a layer of creamy ruyan tobacco, giving a perfectly balanced tobacco vape juice. If you're looking for fantastic flavor and unrivaled smoothness, Butterscotch Reserve is for you. My preferred juice - satisfying flavor. Sweet tobacco blends can be all over the place: graham crackers or other baked goods, perfume-y, syrupy... this one's full-flavored and balanced. Price is right, too. Robust sweet caramel and butterscotch flavor with a dry smokiness underneath. Gets a bit sweet for me at times but it’s still good! I’m not getting much tobacco flavor from this juice, but it tastes great! The butterscotch is definitely understand. It creeps in subtly from time to time. 4/5, would buy again. Excellent. Smooth. Easy. Just sweet enough. Great with coffee. One of my favorites. My favorite so far. Wonderful flavor and service! Definitely will be reordering.